This double filament 7V glow plug usually fits on european diesel engines, see cross references list and application below for more info. This is a fast heating glow plug, controlled by a fast starting control unit. It's 100% tested on production line by automatic machines and lifespan tested according to oem protocols. 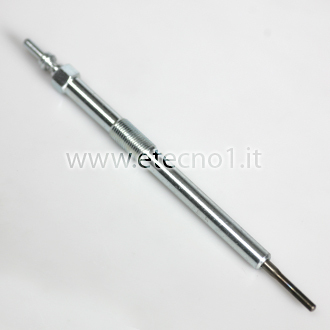 It's made using steel sheated technology, it has been designed to replace original ceramic glow plugs. It's strong and long lasting.